This comfortable William IV house enjoys an outstanding location right on Polzeath beach, one of England's finest. Polzeath, famous for its surfing, is near Rock, Padstow and Port Isaac, on Cornwall's rugged Atlantic coast. 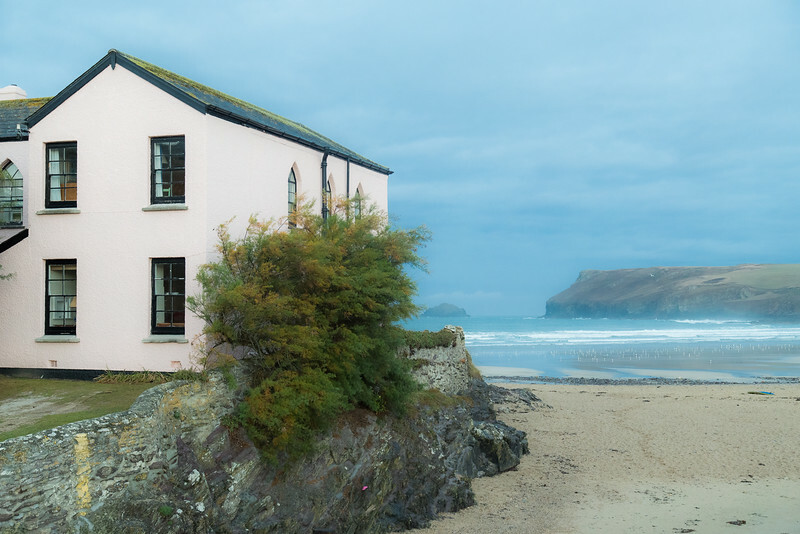 Its character and spectacular position make 'the Pink House' a well-known landmark; at high tide the sea washes the cliffs below, and when it retreats a few rocky steps lead down to the huge beach.